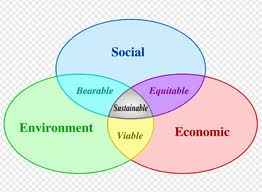 It makes no sense to trade one management or environmental problem for another. Energy-from-waste through the RCR STAG and PGL systems use little water; helps manage waste problems and produces much better emissions profiles than any combustion generating systems. Inevitably, RCR facilities achieve as high as 98% diversion from landfill and as much as 98% recoverability, recycling and resale of recyclables existing within the waste stream (in all probability not all of the C&D waste could be converted as there may be limitations to the size of the market for the products made from the raw C&D). 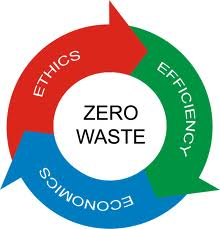 In essence it is close as one can get to achieving a real zero waste target. Landfilling is a management method of last resort, landfills often handle the largest proportion of waste disposed and it is wholly unsustainable practice and with modern technologies is entirely avoidable. RCR Group activities will be able to displace millions of tons of carbon dioxide annually through the implementation of RCR STAG project (carbon dioxide is a greenhouse gas that contributes to global warming). This figure relates to the amount of electricity generated within the RCR STAG plant to handle the net parasitic load for the plant and equipment operation and the export to the national grid. Carbon allowance “credits”, called Certified Emission Reductions (CERs) or Emission Reduction Units (ERUs) arising from the Clean Development Mechanism (CDM), which allows countries to finance emission reduction projects. Greenhouse Gas (GHG) mitigation is now an important factor involving the use of biomass to generate electricity, cogeneration, to replace fossil fuel for use in boilers or in the avoidance of dumping biomass in landfills. These credits can help to meet their GHG reduction targets and represent a means of acquiring additional revenue and making a significant and visible contribution to climate change. A recent U.S. EPA study provides estimates of overall per-ton greenhouse gas reductions due to recycling. Calculations using these estimates suggest that the U.S. could realize substantial greenhouse gas reductions through increased recycling. Every one-ton of organic MSW landfilled will generate one-ton equivalent of CO2. Therefore for every one-ton of MSW diverted from landfill then one-ton of CO2 is avoided. In addition, each ton of HDPE plastics that is recovered and recycled from the MSW is estimated to save 1.5 tons equivalent CO2. 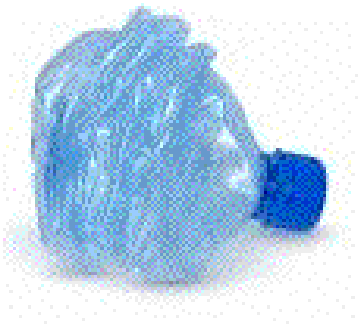 Each recycled ton of LDPE plastics equates to 2.0 tons of CO2, and a ton of PET is equal to 2.5 tons of CO2. As the RCR STAG Recursive Recycling process recovers all available plastics, these environmental benefits are realized as a matter of course. According to US EPA on a life-cycle basis, 42% of the national GHG inventory is influenced by the energy and fuel consumed in the production, use and management of the materials that become waste! The most obvious and well-documented contribution to GHG from the management of waste is from the uncaptured emissions of methane (land fill gas) from landfills – as organic material break down in a landfill’s anaerobic environment they generate methane, a GHG that is 23 times more potent that CO2. US EPA estimates that, nationally, landfill methane emissions represent 1.8% of GHG emissions. The NY State Energy Research and Development Authority (NYSERDA) state-wide GHG emissions for 2006 estimates that MSW contributes 9.6 million tons of CO2 equivalent (CO2E) to Earth’s atmosphere. This represents 3.8% of the states GHG emissions, second only to the consumption of fossil fuels as a single source of emissions.